When decay or an accident robs you of a single tooth or several teeth, you may be wondering about your replacement options. A dental bridge is an excellent method of replacing your missing teeth since modern bridges look natural and affix to your remaining teeth. Dr. Thorne has years of experience in providing bridges to patients, and he now serves the Colleyville, TX area. Leaving absent teeth unreplaced is a mistake. Aside from cosmetic concerns, missing teeth create problems for your oral anatomy. Your remaining teeth are likely to become crooked or misaligned as they lean into the voids left by lost teeth. This phenomenon can cause instability and a greater chance of losing additional teeth. 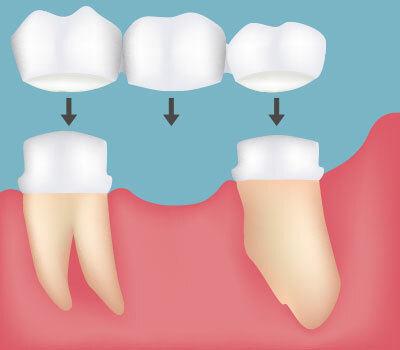 A dental bridge is a permanent, cost-effective prosthetic that anchors to your adjacent teeth. Not only will a dental bridge fill out your smile, but it will also support your remaining teeth and permit you to eat and speak normally. If you’re interested in learning more, please call Thorne Family Dentistry at (817) 503-8000.